But how many pixels do the puddles have? Besides fidget spinners, PuddleGate is the stupidest thing to have existed in the last couple years. Much has been made about Spider-Man’s alleged graphical downgrades, but if you’ve read our tech analysis of the game, or if you’ve read our review, or even if you’ve just seen the game in action, you know that Insomniac’s megaton is an absolute looker. Something our tech analysis brings up is the fact that similar to 2016’s Ratchet and Clank, Insomniac have made use of the temporal injection technique to achieve dynamic 4K visuals. According to Insomniac’s Mike Fitzgerald, Director of Core, that’s exactly right. 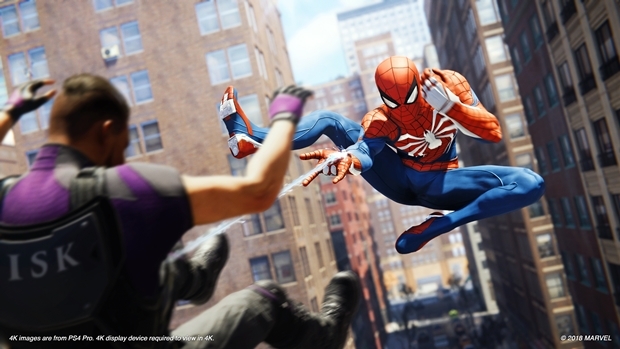 While speaking in an interview with the Official PlayStation Blog, Fitzgeral talked a bit about Spider-Man’s resoluition output on a PS4 Pro on a 4K screen, and it sounds quite impressive. On a PS4 Pro, Spider-Man renders at a pixel count of 2816×1584, which can drop to 2560×1440 in taxing situations. Temporal injecting is then used to anti-alias the image for a “4K” output. On a base PS4, meanwhile, it’s your regular run-off-the-mill stable 1080p resolution (when connected to a display that is at least 1080p, of course). What’s even more interesting, though, is that Fitzegerald also spoke about model realistic faces for their characters in the game, talking about facial and motion capture processes. The really interesting nugget of information, though, is that the final enemy you face in the game (who shall not be named), has one million polygons in their character model. Again, I would really suggest you go read our tech analysis through the link above. It does a great job of showcasing just how impressive Spider-Man really is from a technical standpoint. It stands tall amongst Sony’s best open world exclusives so far. 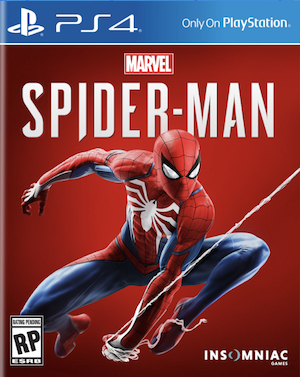 Spider-Man is now merely hours away from release, so… yeah, see you all in 4 days. I’ll be here with my Platinum.